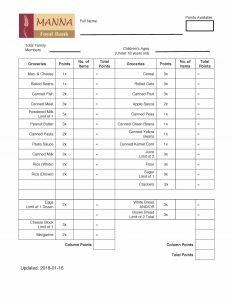 Below is the Grocery List that you are asked to complete and present when you visit Manna. 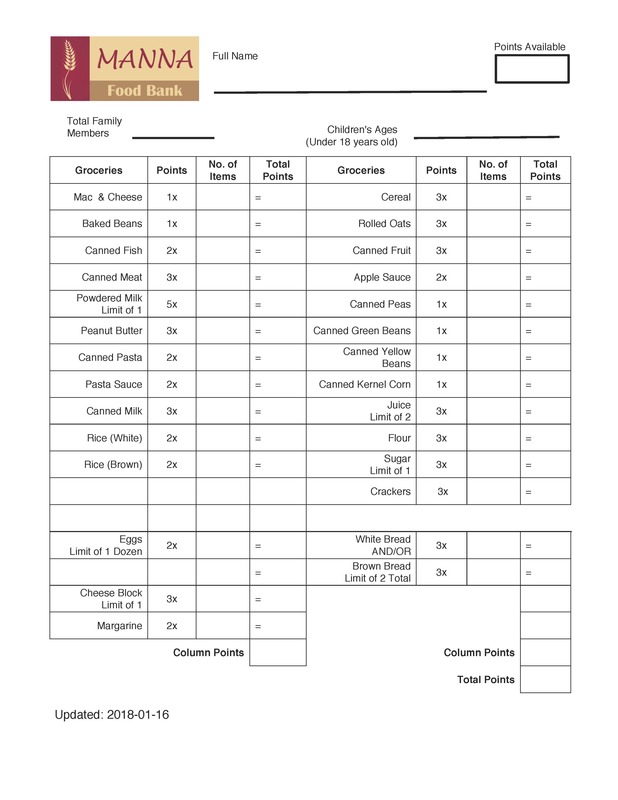 Forms are available at the food bank, or you can download a printable PDF HERE. 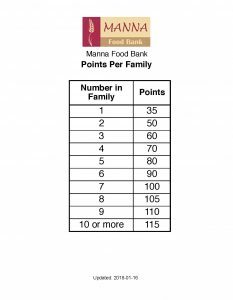 The number of points you receive depends upon the number of people in your family. See chart below.